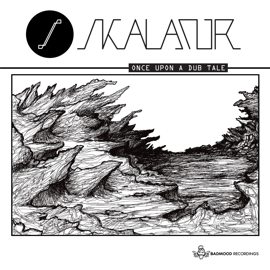 Badmood Recordings presents the debut release by Lisbon based producer Skalator. “Once Upon A Dub Tale” is an experiment in Dub territories, on a more traditional roots vibe. The 3 tracks on the EP are backed up with a remix by one of the Balcan’s big references in reggae sound systems RIS (Roots In Sessions) on a collaboration with Bosnian vocalist Moonia (Baga Sound). A reflection on how sound system culture is, as ever, heavily present around Europe’s club scene and street parties, this work takes you back as far as King Tubby and Augustus Pablo’s sessions with 2012 pressure. After very successful first SOUNDSYSTEM SPECIAL WITH MC NAVIGATOR is here new party. This time with Bosnian crew – BAGA SOUND . 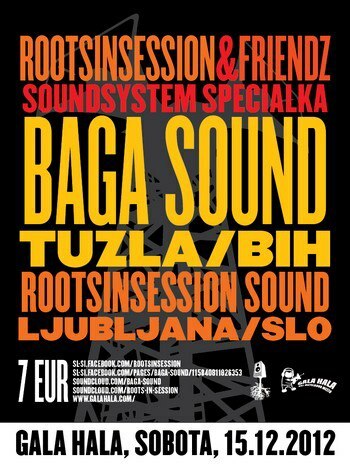 Baga Sound from Tuzla is a Reggae/Jungle branch of Fm Jam, a Hip Hop movement from Bosnia. Members are Moonjah – DJ and vocalist, and Dj Soul. Their long time love and enjoyment for Reggae music, since 2006. converted into the first Reggae sound from Bosnia & Herzegovina. Their sets always have a Roots Reggae for the base, and styles vary from the Roots, Nu Roots and Dub, all the way to the Jungle, Dubstep and Ragga Breaks. Their sets are known to be highly danceable, full of positive energy and excellent quality music. Baga Sound has a reputation to be one of the best sounds in the region, and this is also confirmed by the popularity of production in which they are involved. Tracks, remixes and mixes by Baga Sound are extremely popular and have been recognized on many speakers and dance floors across Europe. Few facts about General Woo. He comes from Croatia – Vukovar He began his career in 1994. He is one of the pioneers not just Croatian but we can say Balkan rap movement. He used to be member of one of the most successful Croatian rap acts – Tram 11 together with Target. They made some notorious songs: Pad Sistema, Hrvatski velikani, Vručina gradskog asfalta, Samo kod nas . Duo split in 2003. Zašto sada šutite is a single from his latest album – Verbalni delikt. It is the most controversial song from his last album say some, but actually it just explain’s what politicians are doing here on the Balkan.